Fadia’s inspiring success story started with the help of The Millin Charity’s Local Women Local Enterprise project – with some help to prepare for the community market, and to comply with food standards agency regulations, her first event was a huge success, fuelling her enthusiasm to give her catering business a go. She was encouraged to sign up for the Going to Market training course to learn more about selling at markets and running a business, and was helped to get her business off the ground with advice from The Millin Charity’s team that was delivered flexibly, at a time and pace that fitted around Fadia’s life as a busy mum of two pre-school children. 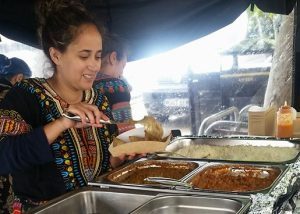 After another positive market stall experience she realised that her foods were not only popular, but they were not available elsewhere – people quickly started coming back for more! 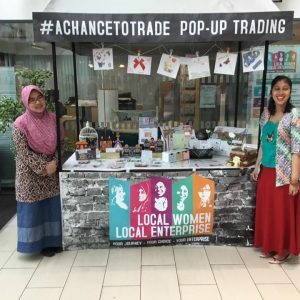 Fadia decided to set up her business as a social enterprise, as her passion was to really make a difference in the local community through her food. Her new social enterprise idea then got off the ground in earnest with the help of a social enterprise grant from UnLtd, enabling her to buy new equipment and ingredients to hold a market research event that provided a great opportunity to get feedback from local people on her food and ideas for her social enterprise. 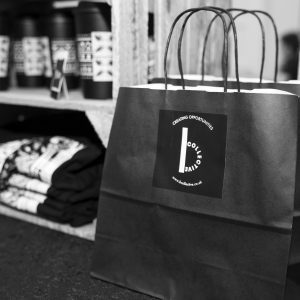 The event was attended by over 100 local people including Chi Onwurah, MP for Newcastle Central, who gave the new business her backing. The amazing feedback Fadia received gave her the inspiration to get her business started in earnest. ‘Chakula’ was born (the word chakula means ‘food’ in Swahili). 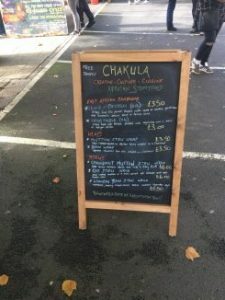 Chakula is a social enterprise that produces a rich and varied menu of traditional foods originating from across Africa; and, as well as making the food to sell, Fadia is passionate about Chakula teaching people in the local community to cook these foods for themselves, promoting healthy eating on a budget. Chakula is all about 3 words: Creative. Culture. Cuisine. Fadia’s learning didn’t stop at this point. She joined The Millin Charity’s action learning project, the Women’s Trading Collective, and through volunteering for the collective she gained credits to enable her to access free Skills Sharing workshops with local female business women who shared their knowledge about publicity, branding, merchandising and pricing; and she gained a place on the Level 1 Accredited ‘Plan Your Enterprise’ training course, which gave her the skills she needed to plan her next steps and get her business really moving forward. Having now had experience of selling food at markets with the charity’s help, Fadia had the confidence to start branching out on her own. She had an ambition to have a street market stall at the Quayside Market in Newcastle, and she achieved that in September – 3 times! She has been overwhelmed by the positive feedback from customers, and by the crowds surrounding her stall to buy her food! We aren’t surprised – and the food tastes as good as it looks! The next fantastic milestone came in the same month, when Chakula was invited to run community cooking sessions at a community project, teaching local people to make healthy and tasty foods at a low cost; another success story, with everyone involved saying not only had they enjoyed the sessions, but they have already recreated the recipes at home. If you would like to try Fadia’s amazing African cooking, or you have a community group or project that you think would enjoy learning new cooking skills for preparing tasty food on a budget, get in touch. Fadia can be found on facebook at https://www.facebook.com/CHAKULACUISINE/ and her tasty menu can be viewed here. Wendi was unemployed and much of her time was taken up with caring responsibilities at home where she had also started to craft as a hobby. 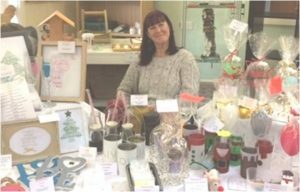 In 2016 she heard that The Millin Charity was holding a community market and got in touch to see if she could sell the things she’d made. She was helped to take part with some advice on costing, labelling and health and safety, and it proved to be a great starting point. Wendi soon realised, however, that there was even more the charity could offer her than a market stall. 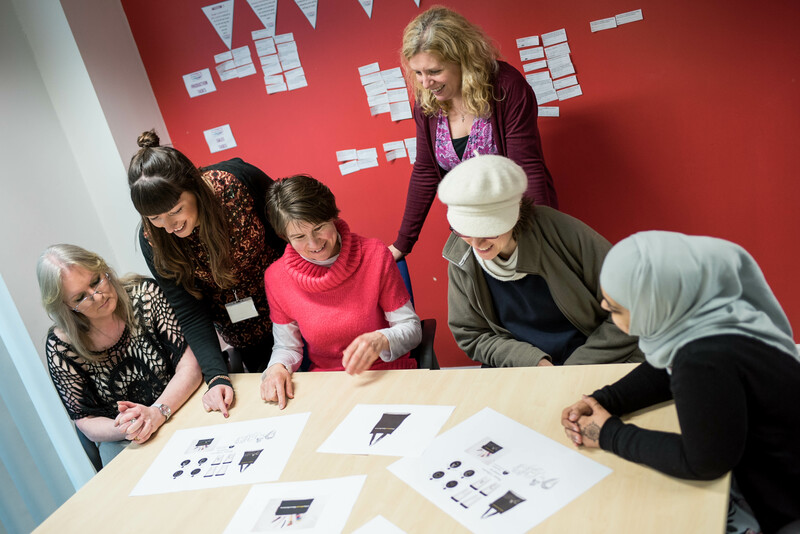 Having been inspired by hearing other women’s stories of being self-employed, and meeting other women with the same aspirations as her, she was motivated to find out more and to think about how she could set up her own business in the future. She then followed the Local Women Local Enterprise Level 1 Accredited Choose Your Future course which helped her to think seriously about her next steps, and the Level 1 Going to Market course which gave her new ideas about selling her homemade crafts as a possible future venture. 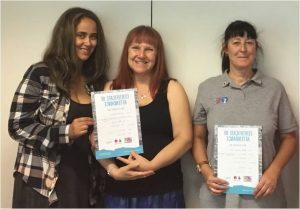 Through attending courses, markets and workshops with The Millin Charity, Wendi built up a new network of people in the local community that she hadn’t met before, and gained a huge amount of confidence from the people around her, as well as from the successes she was starting to experience. With her new-found confidence and skills, she brought to life Sqeeky Kleen, a local cleaning business that could fully utilise her skills, energy and enthusiasm, and create an income for herself and her family. When one of her course colleagues introduced her to her first customer, Wendi’s future success was off the starting blocks. 6 weeks later she has already found 10 customers, and is even bringing in part-time help for bigger jobs. 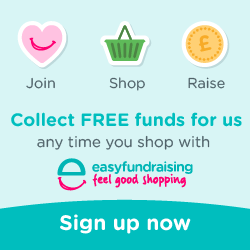 Her 5* facebook reviews are coming in thick and fast, and she’s now well on her way to achieving her goal of becoming financially independent, only a year after selling at her first Local Women Local Enterprise market. 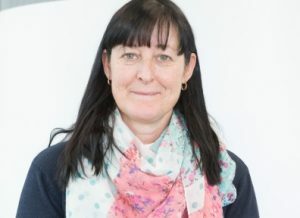 Although she now has less time on her hands, Wendi is still a keen volunteer member of our Women’s Trading Collective, and has been central to the making of some wonderful fabric bunting, and has even learnt crocheting to help out with production too. There’s no doubt that Wendi has gained a huge amount from being involved in both the Local Women Local Enterprise and Women’s Trading Collective projects, but we have also gained a lot as a charity from having her involved – she’s a team player, a meticulous worker and has a huge amount of energy and enthusiasm, qualities that we know will bring her the success she deserves. If you need a domestic or commercial cleaner within a 10 mile radius of Newcastle Wendi would love to hear from you – get in touch and we’ll ask her to make contact.